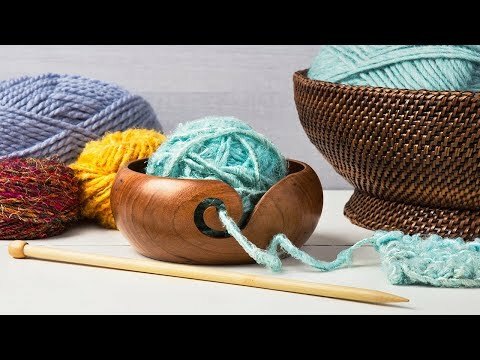 This beautiful wooden yarn bowl is handmade in India by women in safe working conditions who are paid fair wages for their craftsmanship. 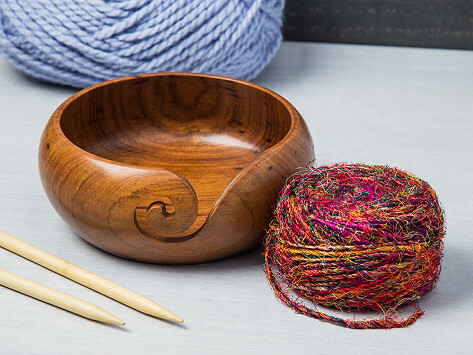 The Indian rosewood and teak wood bowl neatly corrals a ball of yarn and has a notch to help meter out untangled lengths. My sister has just start taking up knitting and she loves this!! Perfect gift! She cried tears of joy!